The statistics for children being killed or injured in car accidents when they are not in a car seat, or wearing a seatbelt are horrific. In the United States, the biggest single cause of death for children under nine is car crashes due to them not being restrained in either the front or back seat. US government figures show the risk of death for an infant in a car crash is reduced by over 70 percent if they are using a properly fitted car seat, and for toddlers, it is reduced by more than half. If a child is not in a car seat or wearing a belt in the back seat, and the vehicle is involved in an accident at 30 mph, they can be catapulted forward with the force of almost three tons. An unrestrained child will at least severely injure themselves and can be the most significant risk of death to passengers sitting in the front, even if they’re wearing seat belts. It is imperative that infants and small children are correctly restrained in a car seat to reduce the chances of death or severe injury in the event of an accident. 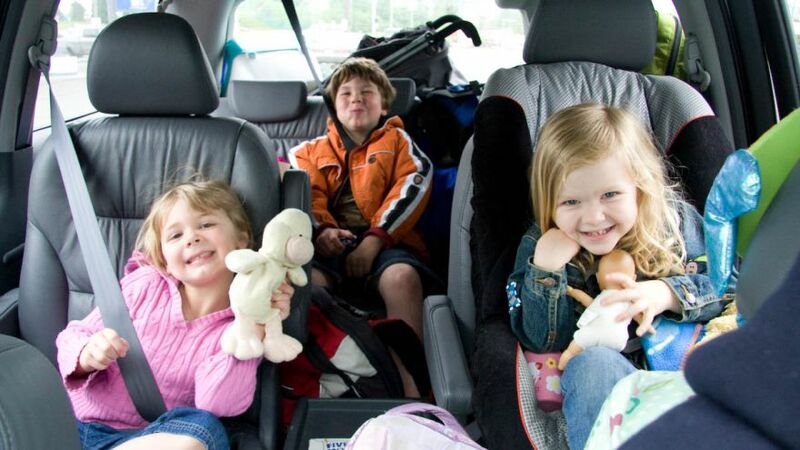 Fitting a car safety seat can be incredibly tricky, as not every seat fits every car. There are basically three types of car safety seat for infants and young children. Rear-facing car seat: These are designed for babies and infants up to about two years old. They give the right amount of neck and head support. Forward-facing car seat: Is designed for toddlers, from about the age of two to five. They are often anchored using the integral seat belts in the rear of the vehicle. Again, when your child reaches either the upper height or weight limit, it is time to move on to the next type of safety seat. The booster seat: This is not a cushion, but an entirely protected seat that can be used until the child can use the seat belt fitted to the vehicle. Most manufacturers suggest that a child needs to be at least 57 inches (1.45m) tall before they can safely wear an adult seat belt. I was surprised to learn there is a United Nations standard for child car seats, not just a national one. Any seat that meets this stringent standard has a label with an ‘E’ marking. Make sure that any seat you consider purchasing is suitable for your child’s height and weight. Some newer vehicles have the Isofix system for attaching a car seat to specific anchor points. Generally, these seats do no work with, the more common seat belt attachment. If you have more than one car in the family, ensure the seat you buy will fit all of your vehicles. Buying a child car safety seat second-hand is unwise. You do not know if it has been in an accident, or how bad it may have been treated during its life. 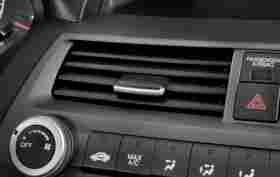 It may look OK, but there could be some internal problems that will only become apparent in an accident when it is too late. A second-hand seat is also likely to be older, and not meet today’s stricter safety standards. Once you’ve decided on the model of car seat, it’s time to fit it. If you purchase from a large retailer who specializes in car accessories, they may have a free fitting service by a qualified technician. If not, there are a few simple rules and tips that can make fitting it yourself a piece of cake. This might sound like a pretty basic suggestion, but it is incredible how many people jump straight in and don’t look at the instruction manual that comes with the seat. Often the booklet can be thick and daunting, and that is because it’s likely to be written in many languages. At the same time, check the owner’s handbook for your vehicle. It will also include guidance on how to fit a child seat. These days most reputable manufacturers will have a video explaining how to fit various models of car seat on their website. Watch it a couple of times and study how the professionals do it. Have it on your phone or tablet nearby when you come to do the job to help walk you through it. There are color-coded guides for slipping the belt into the latest models of the safety seat. If the seat is designed to be rear facing, it will have blue guides, and if it is meant to be forward facing the guides will be red. A few seats can be used forward, and rear facing so try not to get muddled up. Remember, blue to the back, and red forward. This might seem a strange thing to do, but some sportier model cars have sculpted or bucket seats that might hinder placing the child seat in the correct position. The object is to get as much of the base and shell of the car seat in contact with the vehicle seat. The more contact area the better will mean there is higher energy absorption in the event of a crash, and the safer your child will be. Try not to angle the seat too much to get it to fit. Reclining the seat may suggest it will be more comfortable for your child, but it will not allow the seat to perform as it should in an accident. If the head restraints on the passenger seats get in the way and do not allow the seat to fit properly remove them. Never consider modifying the safety seat to make it fit, as you will lose the structural integrity of the seat, and its ability to cushion during an accident. 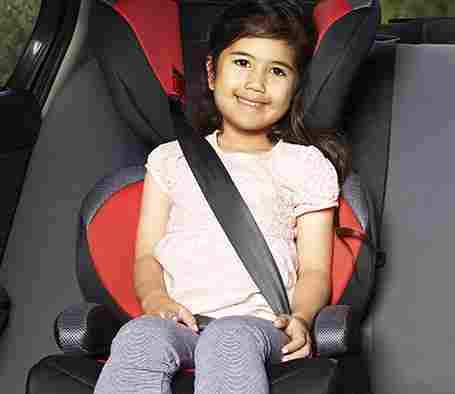 Usually, child seats use the standard three-point seat belt fitted to most vehicles these days. After pulling out a length of seat belt, place the lap strap through the guides on the seat, and click it into the buckle. Use the shoulder strap of the seat belt to tighten the lap strap, so the safety seat is firmly in place and nicely cushioned into the rear seat of the vehicle. For some forward-facing safety seats, it is easier if they are fitted in the reclined position as it gives you more room to work. Once the lap strap is secure, pass the shoulder strap through the guides. Be aware that the shoulder strap may not need to go through every guide, and it should not be forced. Take a look at the car’s seat belt. Make sure there are no twists, or if it has gotten knotted when securing it to the various guides. The seat belt should be flat and smooth at the attachment guides of the safety seat. Firmly push the safety seat, so it is touching the cushion and back of the vehicle seat. Pull on the shoulder strap of the seat belt to remove any slack. Both the lap strap and the shoulder strap should be tight when the child safety seat is in place. Many models of safety seat have locking mechanisms to ensure the car’s seat belt does not slip once it is tightened, ensure that it is entirely locked. At the same time make sure the seat belt buckle is not in contact with the safety seat, this is known as ‘buckle crunch’ and can be dangerous. Finally, when you think you have it all sorted, give the child safety seat a good tug to see how far it will move. It should not move more than an inch in any direction. If you have followed the instructions correctly, and there is more movement, then best to seek advice from a professional fitter. In no circumstances should you place a rear-facing safety seat in the front of a vehicle if there is an active passenger airbag. Serious harm can be done if the airbag goes off in an accident. If you do want to put a child safety seat in the front, it should only be a forward-facing type, and the seat itself should be moved as far back as possible to reduce the chances of injury. Better to keep the kids in the back seat.